FAMILY OF THREE TAKE TO THE SEA: Where are we now.. The view of the salon, torn apart! That is the new stove on the table. The galley also, torn apart! 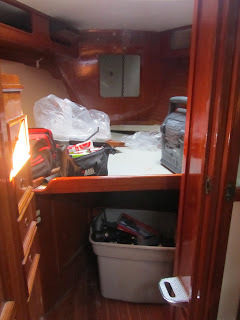 The Nav station...torn apart (notice a recurring theme)?